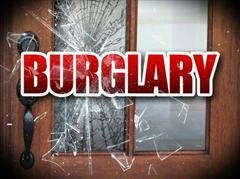 BTPD warns of daytime residential burglaries. The Bordentown Township Police Department fielded a report last night of a residential burglary which occurred during the day-time hours on 10/3/18 to a home on Klein Dr. The perpetrator made forced entry to a rear door of the home and stole various property from inside the residence. A similar attempted burglary also occurred yesterday in this same neighborhood to a residence located on Henry Marshall Dr. In that instance the perpetrator attempted to make entry to the home from a rear door and window. Township Police spoke with several homeowners who reported observing a light skinned black male in the area during the time frame of both incidents. This male was wearing a white t-shirt with a stripe and was observed operating a gray sedan. This is the only description available at this time. This subject knocked on the door of one home posing as a solicitor and was later observed in the backyard of another residence. Neither of these acts were reported to police and the BTPD urges residents to contact us immediately at 609-298-4300 or via 911 to report any/all suspicious activity or persons. Anyone with information about these incidents is asked to contact Dsgt. Ciabattoni at 609-298-4300, ext. 2142.